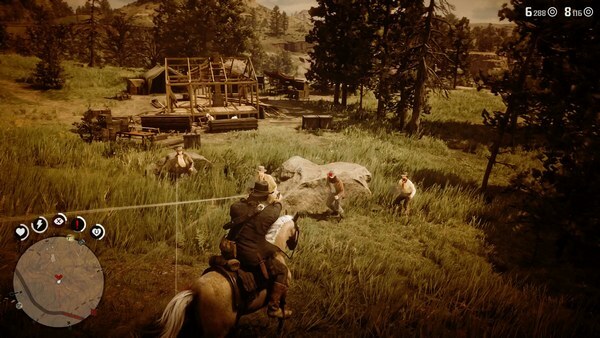 Home » Games » Red Dead Online First Impression: How Good Is It? Red Dead Redemption 2 is officially one of the best games in 2018 and it is arguably one of the best open-world games to date. 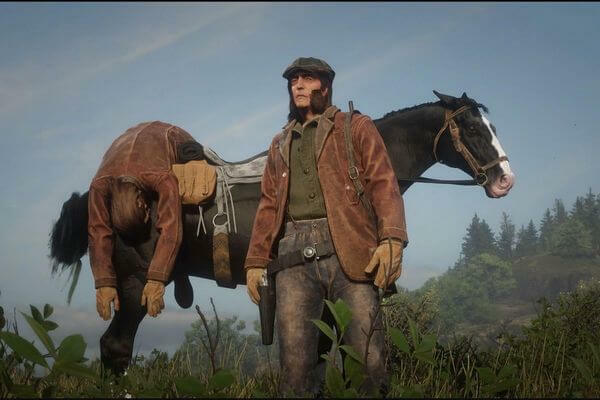 Obviously with such an incredible world, many people would want to experience the same excitement with its online version Red Dead Online. Currently the game is in beta stage, but it should be good enough to give us an overall impression of the game. So is the game good? Let’s have a Red Dead Online first impression! Appearance: this is where players customize their character’s look. Frankly speaking, the character customization here is rather basic. Players can change from Base Appearance (which is face presets), Skin Tone, Age, Body Build, Eyes & Brows, Nose, Mouth & Lips, and Jaw & Chin. These only include a handful of choices and we hope that they can expand this a little bit more in the future. Whistle: this is where players customize their character’s whistle sound. 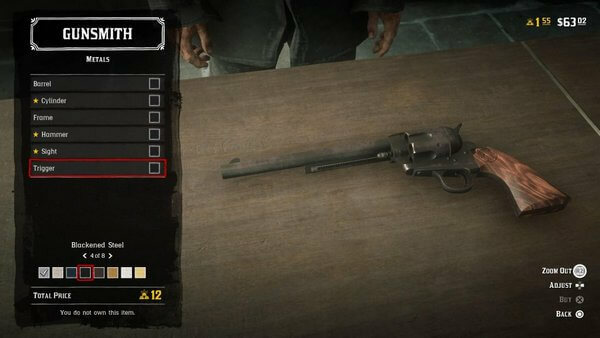 Attributes: this is where players allocate points on 3 stats including Health, Stamina, and Deadeye. After finishing customization, players will then be told that they going to be transfer to another prison. But during their trip, players get rescued by a rich-looking woman who wants them to do her revenge job. Afterwards, it is time to have real fun! 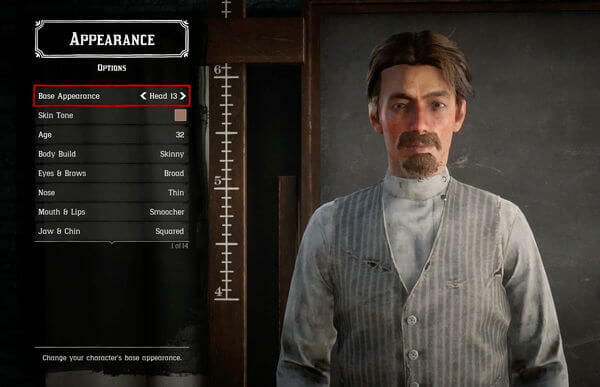 First off, as you can guess there is a story campaign in Red Dead Online. By the look of it, this story campaign is actually solid and interesting. But to prevent spoilers, we will not talk about it in details here. 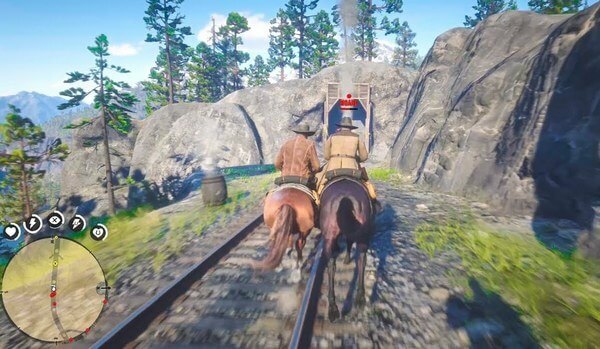 In any case, the biggest reason why people get into Red Dead Online is the multiplayer game modes. This is where the fun truly begins since there are lots of interesting game modes and activities throughout the game. Many game modes have some really quirky, yet intriguing gimmicks which only make those modes more fun to play. For example, one game mode which many people ask about is the battle royale mode. For starters, it still follows the similar tradition of throwing bunch of players into an area where they have to fight each other until only one last man standing. The area will also gradually be closed in, forcing players to move into the safe zone. And here’s the different part: only 16 or 32 players participating in one match. Also, there are only two weapons: bow and throwing knife which literally one-shot people. As the result, this battle royale mode becomes a slow and intense game in which players have to tread carefully. Generally, the aim is to hide in bushes or houses while at the same time, try to find the enemy first before them. Then there is another completely different mode in which players are given bunches of weapons right at the get go. Yet the more difficult weapon players use, the higher points they earn when kill enemies with that weapon. Finally, there is a racing mode which puts players into a huge area where players have to pass different checkpoints in order to win. The big difference is: players can hit those checkpoints in any order and they can shoot each other with guns scattering throughout the map. First, since Red Dead Online is an online open-world game, obviously griefing will also be a thing. This tends to create a headache for developers in order to ensure a fun game for players to enjoy. Luckily, Rockstar came up with a great idea which is the Parley system. In details, when a player kill you, you will have an optional “Parley” choice which will makes you and your killer unable to attack/deal harm to each other for 10 minutes after you respawn. This proves to be an effective mechanic since people will mostly get tired of fighting after 3-4 times “Parleying” and just do something else. 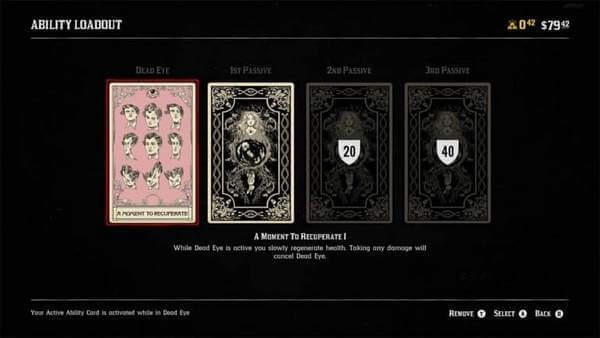 Second, the Deadeye mechanic is still in the game, yet it cannot slow time (for obvious reason) and instead, it will grant different effects depending on the “Card” players choose to customize their characters. These Deadeye effects can range from healing while Deadeye is active, or increasing you and your team’s damage. Overall, these Deadeye card effects are really useful, though they are not as overpowered as the singleplayer version. But such compromise is necessary. Talking about card, players can also equip up to 3 ability Perk cards which give certain bonuses and benefits. They are cool, but not in a way that players can have different distinct character builds. But at the very least, players can have some fun customizations with them. That said, buying Perk cards will require money and money is hard to get (and this is the problem we will discuss in the final section). 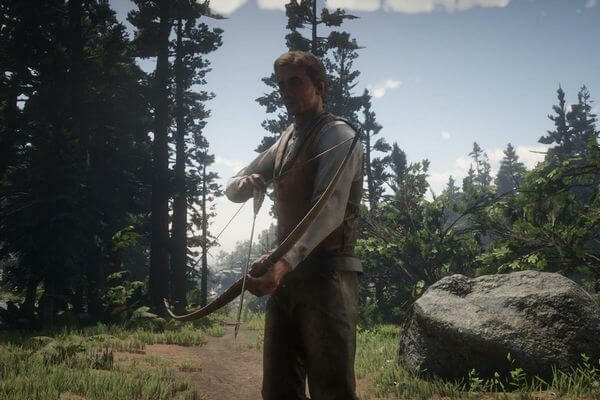 Finally, the Honor system also makes appearance in Red Dead Online. However, unlike the singleplayer mode (where being “dishonorable” outlaw does not give you any significant benefit), this system is much better here. No matter what side you are, there is always some benefits and fun stuffs for you to do. Basically if you are on the good side, you will get to encounter different events. And if you are on the bad side, you will also get to see completely different events. So it is a “win-win” situation. As you can tell, for most part we quite enjoy Red Dead Online for what it offers. That said, we cannot ignore a single biggest problem in this game: the grindy economy. To briefly explain the game’s economy, it basically relies on three elements: your character’s Rank, Cash, and Gold Bar. Character’s Rank is important to unlock newer stuffs from shops. The more you play, the more experience you gain and ultimately your Rank. Cash is the standard currency used throughout the game. At the current stage, you can literally buy everything with Cash. And finally, Gold Bar is the premium currency which allows you to purchase certain items, or quickly buy certain items without needing to reach its Rank requirement. Sadly though, here’s the catch: most items in this game cost lots of money which forces you to grind, a lot. To put into perspective (this is estimated only), a player who grinds for approx. 10 hours can get around $400. But here’s the thing: a mere $400 is not a huge sum of money. 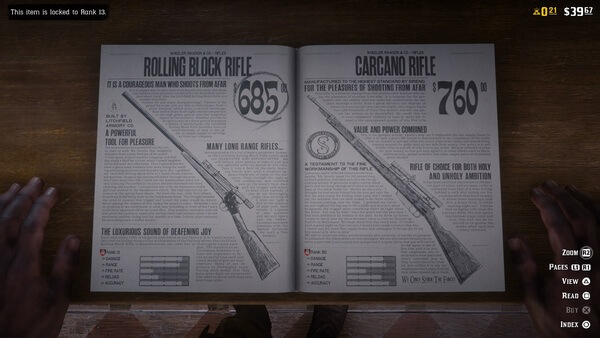 Even a Pump Action Shotgun (a Rank 5 shotgun by the way) already costs $266. Not only that, the customization cost for a weapon can still reach a hefty $70 in average. And again, grinding hundreds of Cash is already a hard grinding work itself. Not to mention, there is some broken price balance like: a gold wedding price can only fetch for $1.15, while a can of baked beans costs $1.50. To be fair, these are current statistics after Rockstar’s recent economy changes. But still, considering the initial launch of Red Dead Online beta, all items used to cost much higher, especially with the infamous case of Mauser Pistol which costs a whopping $1000 (it changed to $600 now). Then we have Gold Bar which is even more grindy than the Cash. Most items cost lots of Gold Bar, and not to mention that not all of those items are necessarily good. One infamous example for this is that: one Reddit user named u/TokuTokuToku shared a screenshot showing the cost of 12 Gold Bar just to paint a basic pistol all black. Now, it’s true that players can farm for Gold Bar by doing activities; however, even if you do your best, you can only gain a little gold nugget (or 0.0X of 1 Gold Bar). To make this clearer, one Reddit user has calculated that a player can gain approx. 0.02 – 0.04 Gold Bar per activity (like deathmatch or race). Supposedly a players gain consistently 0.02 Gold Bar eveu/TokuTokuTokurytime (excluding the loading time), it requires 50 matches (or 500 minutes = more than 8 hours) to finally get 1 Gold Bar. Meanwhile, a weapon can cost around 27 Gold Bars in average, which means you will have to farm for around 216 hours to finally buy the stuff (based on the calculated rate above). This is extremely grindy, not to mention that there are tons of other stuffs you definitely want like clothes and weapon customizations (both are also costly by the way). This leads to a common suspect that such economy system is intentional so that they will put in microtransaction into the game after the beta, or basically, makes the game “pay-to-win”. Again to be fair, this is only the beta and therefore, there may be lots of changes regarding the economy when the game is officially out. However, the current in-game economy has already left too much things to be desired. People can’t help but to feel suspicious due to such outrageous prices in the beta. And honestly speaking, we can’t blame people who express their concern that Red Dead Online can become a pay-to-win game. And in case someone may think that such pay-to-win scenario will not come true, let’s remind us all that GTA Online also gradually became pay-to-win. It literally forces players to buy Shark Card if they want to get anything in the game (to put into perspective, a car can cost $12 million). Since such Takes Two has gained tons of money thanks to GTA Online microtransaction, there is a high chance that they will do the same with Red Dead Online. So that’s it folks! 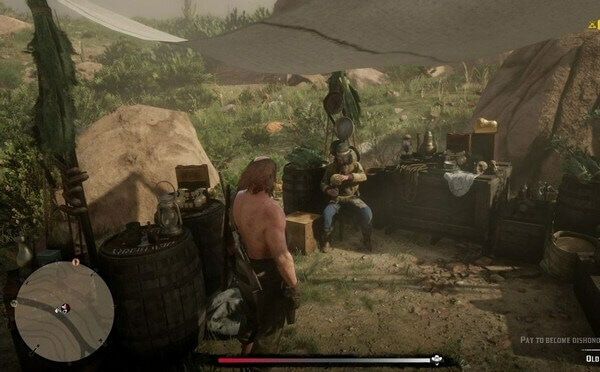 What is your Red Dead Online first impression? Feel free to share with us and for now, thank you and stay tune for more news in the future!